A Women Mission Trip to help Teen Challenge Quebec! Posted by Heart Cry for Quebec in Mission Trips in Quebec. Comments Off on A Women Mission Trip to help Teen Challenge Quebec! Elmira Evangelical Missionary Church sent a team of women to help, bless and encourage the continued ministry at Teen Challenge Mauricie, Shawinigan, QC. When God calls us to go we go!. As a team our journey started on what seemed to be the task of finishing a prayer room for Teen Challenge. We thought that we would paint and that would be it. Painting the Prayer room turned into a wonderful journey for all of us. We grew in the Lord and we underwent a refining, we grew a deeper understanding of the work going on at Teen Challenge. 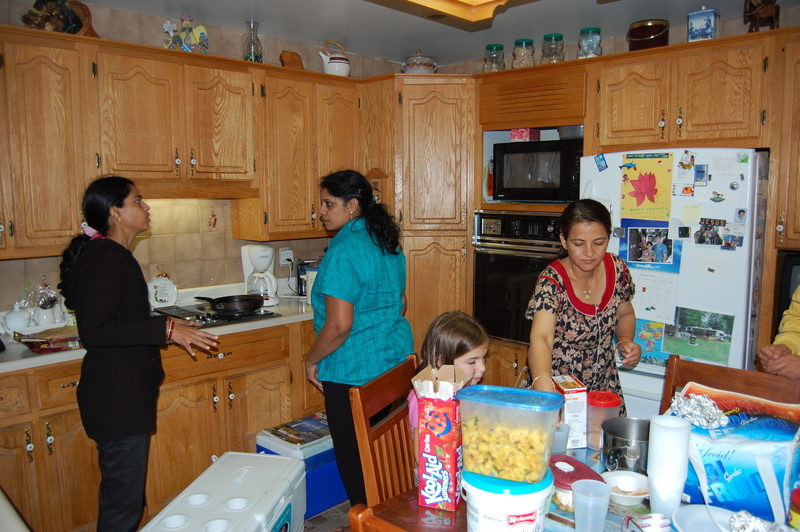 While cooking and sharing recipes we were able to interact with the residents. They were able to open up and share with us their stories. As we continued our acts of love we grew to love each other deeply. Teen Challenge is more than a house, it is a sanctuary dedicated to God. The prayer room is a place to seek God’s face in a world of distraction. In the end, the prayer room was finished and we thanked the Lord for His ministry through us. Every Mission Trip is an expression of God’s Love! List of mission trips that have been coordinated by Donald & Lorraine. October 2002 Ontario Seniors Senior Bus Tour: Montreal and Quebec cities Praying Tour led by Jim McDowell, Donald & Lorraine to pour a “rain” of prayer for new EMCC mission field. June 2003Elmira Team Street ministry to young adult : Claude & Carole Vachon, Montreal One day: major plumbing / electrical / drywall work done!! April 2011Elmira Women’s Team Teen Challenge for women, Mauricie, 2 hours East-North of Montreal Painting prayer room, decorating, ministry to residents. Elmira men’s working team helping Teen Challenge Quebec. Posted by Heart Cry for Quebec in Mission Trips in Quebec. Comments Off on Elmira men’s working team helping Teen Challenge Quebec. Reported by Rachel Harris and Angela Harrisson from Emmanuel’s mission committee. January 21-24, 2011, Donald and Lorraine Gingras enjoyed their weekend ministry at Emmanuel Missionary Church, Elmira. They reported on their work and on Quebec mission field. They also introduced Mr. René & Alice Couture, director of Teen Challenge Mauricie, in Quebec, the first French facility for women in Canada. The Couture made a power point presentation on the work accomplished by the men’s working team. Saturday Morning: The weekend started off with a breakfast prepared by the men’s group at the church and ible study. Donald and Lorraine spoke separately to the men and women at Emmanuel Evangelical Missionary Church, Elmira, Ontario. The heart that God has given them for the people of Quebec and to see that Christians are taught to go and make disciples is very evident. The love and passion that comes from the understanding that God is calling out to our sister province shines through. They speak with conviction to unite the provinces of Canada to become a great nation under God and to teach Christians to multiply. Pastor Peter Courlas of EEMC was blessed by the message given on the Saturday morning about how God worked through the Gingras marriage to unite them to be able to bless others. During the breakfast Rene and Alice Courture, who travelled with the Gingras, were able to share of their ministry in Quebec at a Teen Challenge Facility for women, and Donald explained how him and his wife were connecting EEMC and Teen Challenge together and how he is excited to see where the Lord will lead. Saturday Afternoon/Evening: After the breakfast the Gingras and the Couture’s were treated to a trip to the local farmer’s market for a taste of the local cuisine. That evening the missions committee gathered for dinner and a meeting. Throughout the evening we were able to hear of the trials and fruits of labour at the Teen Challenge Facility in Quebec, led by Rene and Alice Couture. This is a facility where women with addictions can go gain free from them, a place of refuge in the storm of life, a haven to find Christ who is the only life giver. The great calling that God has placed on Rene and Alice to build up this ministry was shared and the passion and desire to serve where the Lord leads was evident. The missions committee along with Donald and Lorraine talked about possible ways to bless and take part in this particular movement of the Holy Spirit in order to bless Rene and Alice. This meeting also affirmed that Elmira Evangelical Missionary Church will continue to reach out to the people of Quebec. Sunday: Donald led the church service and preached on Abraham and how h e was lead to leave his land to go where God had called and how Christians really need to ask themselves what legacy they are going to leave behind when they die, and how are people going to remember them. Prior to the message the Couture’s were able to share a brief version of the vision and plan that God has given to them for their ministry at Teen Challenge. Also, several of the men from the church that had recently gone to minister at the facility through their construction skills, shared how they were impacted by what they saw. All of the men were touched and compelled to continue to help and were able to attest to working of God through the trip, when one of our men was taken to hospital and the health professionals there were able to save his life, by the guiding of the Holy Spirit. At the end of the service the Mission’s Committee from EEMC presented the Couture’s with the love offering to allow them to continue to build and shape the facility to the needs of the women who are being transformed there. Rene and Alice expressed their deep emotions when explaining how loved they felt. Following the service the body of Christ was able to share a meal together and continue to connect with the missionaries through individual conversations. Donald and Lorraine brought the Couture’s to meet our church body not aware of what God was up too. God has started a work in Quebec and we truly believe we are called to help. Thank you for giving us the opportunity to reach deep into Quebec and allow the love of God to shine in and through us. For the last 4 years the Expedition Team from Emmanuel Bible College has been able to participate in a two week mission trip to Montreal under the coordination of Donald Gingras. Expedition is a discipleship/ leadership program that helps students grow in their faith, discover their gifts and abilities, as well as help them discover God’s calling on their lives. As part of the program each team is involved in local ministry and seminars in the Kitchener area, inner city ministry in New York City, 4 weeks overseas, and 2 weeks in Quebec. We have been incredibly grateful for the opportunity to work under the direction of Donald. Each team has thoroughly enjoyed their time in Quebec and returned with their hearts being touched by the people they have met. This year the Expedition team spent their first week working with Youth for Christ or Youth Unlimited. One of the highlights from this experience was the seminar they participated in with Ron teaching them about the misconceptions of homelessness. They were able to learn about the homeless culture as well has how to build relationships with the people and minister to them. The team enjoyed making sandwiches in the morning and handing them out to people in downtown Montreal during the afternoon. The team also enjoyed learning and experiencing the Cloverdale Community. They were able to help with the after school children’s program which included teaching life skills, sharing bible stories, and singing. They also sorted and packed toys and clothing for the families in the area. 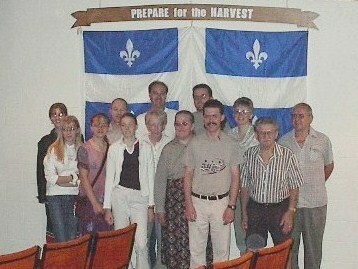 During the second week the team had the privilege of experiencing a tour of Quebec City with Donald and learning the uniqueness of ministry in Quebec. A real highlight for the team was learning about the ministry of discipleship done by Donald and Lorraine as well as their aim to meet the needs of the Quebec people. After the tour Donald took the team to Teen Challenge where they were involved with cleaning, sorting and painting within the home of the family who runs the Teen Challenge farm. The team really enjoyed getting to know the director René and his wife, and hearing about their heart for the ministry. It was so obvious that Jesus is the center of all the work they do with the girls. The conversations and testimonies the team experienced with René made Jesus very real. Seeing the look on the family’s faces when the team was done painting and cleaning was extremely rewarding. While the team went to Quebec to serve, they came back impacted in many ways by the people they came into contact with and are so grateful to God for the experience. 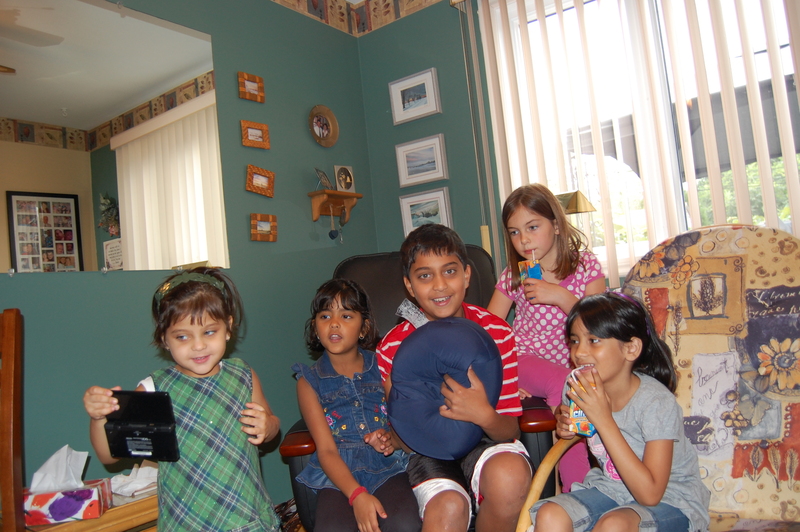 Each summer, this being the 3rd one, House of Prayer for All Nations get away for a weekend with our “potluck group”. Our group consists of families from 3-4 different ethnic groups who we share our food and hospitality together every month or two. We’ve done Stayner & Wasaga, the Saint Lawrence River and in 2010 we wanted to do MONTREAL. 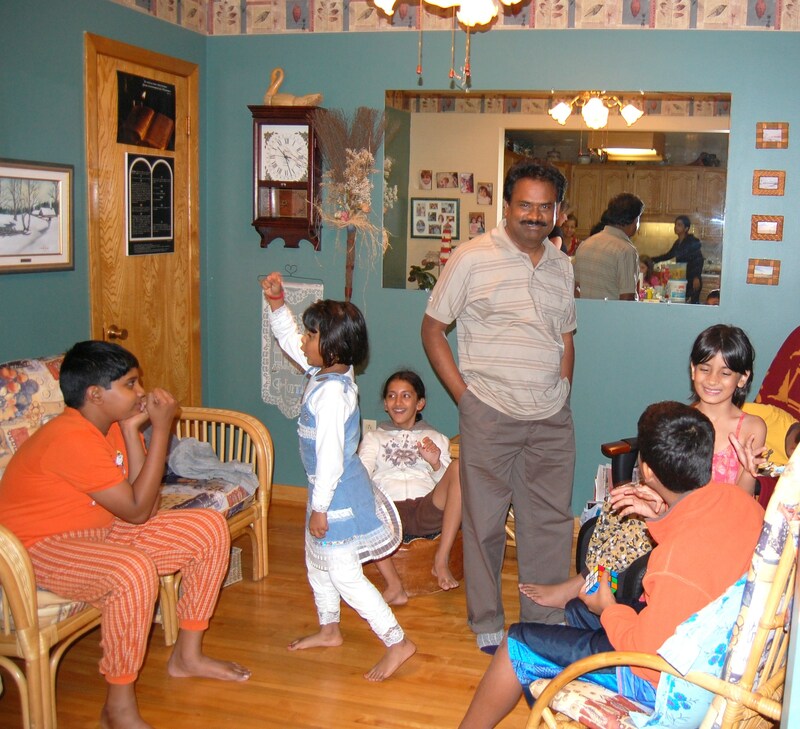 We always have fun planning food & travelling agendas (one of the Hindu families is ovo-vegetarian… and with so many nationalities there are different expectations of when, how, where). 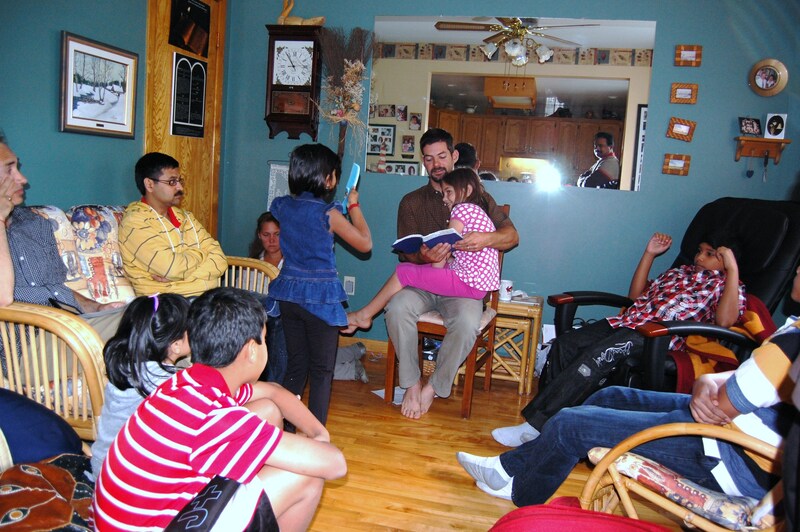 At our EMCC Regional Gathering in May, we (Tim and Kathy) were sharing with Donald and Lorraine Gingras that we were coming with our potluck group to Montreal and how we could introduce them to the group and share some of the “Quebec story” with us. Donald, almost immediately, said we could come and stay at their home/ministry centre with the group and would love to show us around Montreal. Excited about this opportunity, we started our journey on Labour Day Weekend. 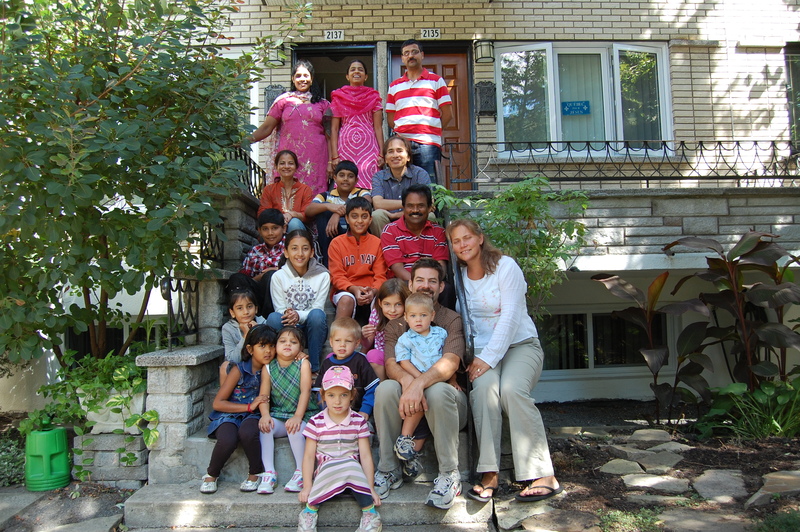 After losing each other en route in Montreal, we all arrived safely on Saturday afternoon at the Gingras. Donald shared briefly of how Quebec’s story and his faith journey find a similar path in the good news of God’s ability to bring reconciliation. 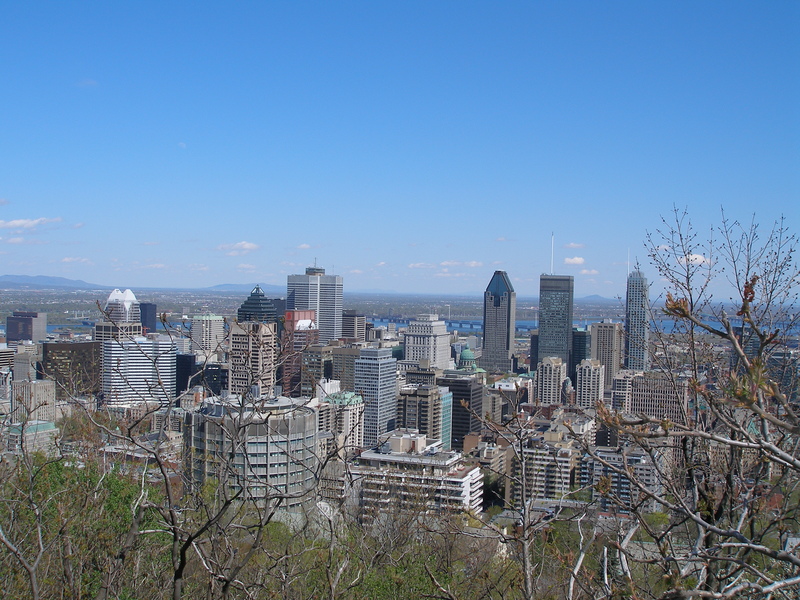 This set a great path for us to begin our historical tour of the Ile de Helene Champlain, downtown and Old Colonial Montreal, the St. Joseph’s Oratory and then by the Olympic Stadium. 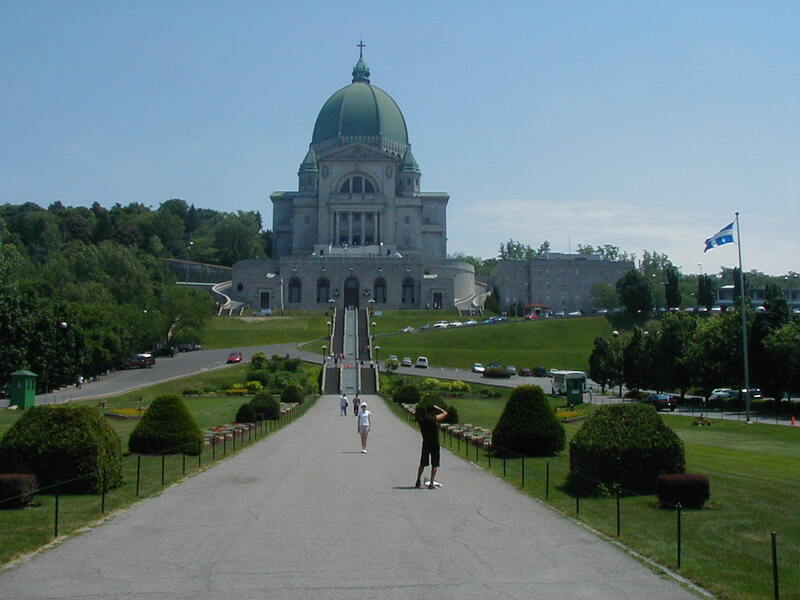 One highlight for our predominantly Hindu group was St. Joseph’s Oratory where they wanted time to see and pray. There were many discussions about many elements at this cathedral. After a unique 7 hours Montreal tour and satisfying supper (starting at 10 p.m.) we settled for a night’s rest. By lunchtime the next day, after a time of studying Jesus’ parable about welcoming God’s messengers and God’s son is the same as welcoming Him and what that means for those who are part of His family by right and by adoption, we were back to Ile de Helene Champlain to play at a beautiful park in the shadow of the bio-dome and to take a boat water tour on St-Lawrence River around Montreal. The group had an amazing time winding down at the Gingras residence and getting ready to head home to Kitchener the following day. It was an outstanding weekend learning and being with Donald and with each other. We are all anticipating what our 2011 trip will be. our potluck group as we share life together – that the reality of Jesus alive in us will create a hunger to have Him be an everyday reality in their lives. Wisdom to know how to follow-up on some of the spiritual themes that came out through the weekend. In His Grip, Kathy on behalf of the Elliott family.